The metallic makeup trend continues to rage on. 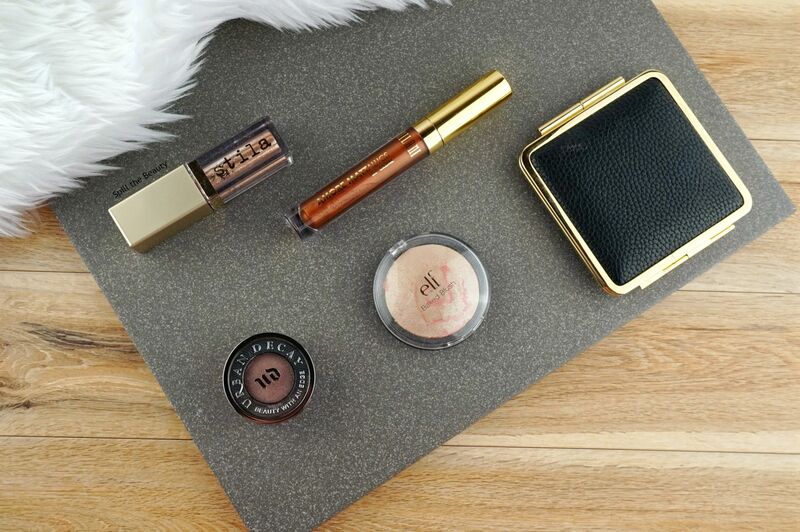 With recent launches like the Huda Beauty Power Bullet Metallic Lipsticks and Wet n Wild’s Megajelly Eyeshadow Pots, it looks like metallic trend isn’t going anywhere. All the new launches have me going back into my stash and picking out my top 5 metallic makeup items. These may not be the most metallic or the most pigmented, but they are the easiest to use and the most wearable metallics in my collection. 1. 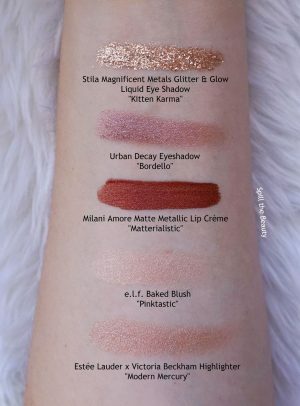 Stila Magnificent Metals Glitter & Glow Liquid Eye Shadow in Kitten Karma* – if you want to to make an impact and have everyone ask what you’re wearing, Stila’s Glitter & Glow Shadows are definitely the way to go. 2. Urban Decay Eyeshadow in Bordello – a sheer dusty mauve shadow with a metallic silver shift and rose gold glitter sprinkled in. This one may be discontinued, but it’s been popping up at Nordstrom Rack for a fraction of the original price. 3. Milani Amore Matte Metallic Lip Creme in Matterialistic* – matte AND metallic? 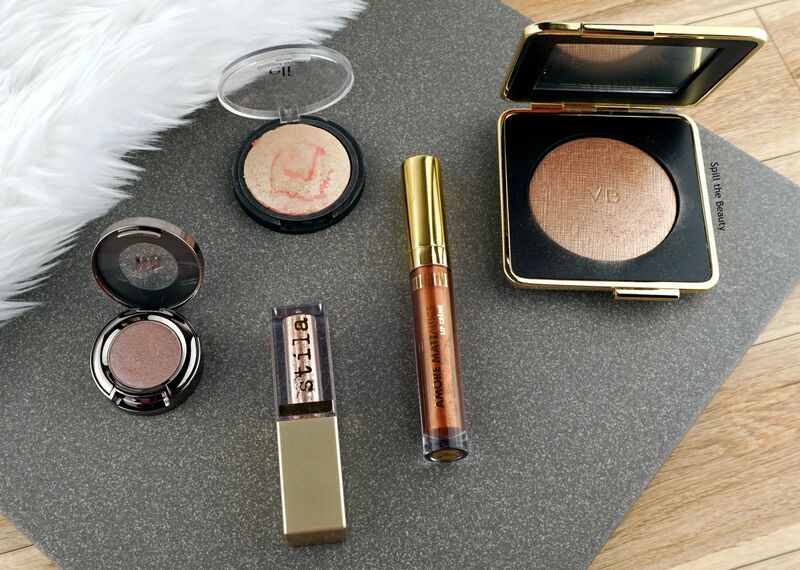 It’s a thing and it’s executed beautifully by Milani. 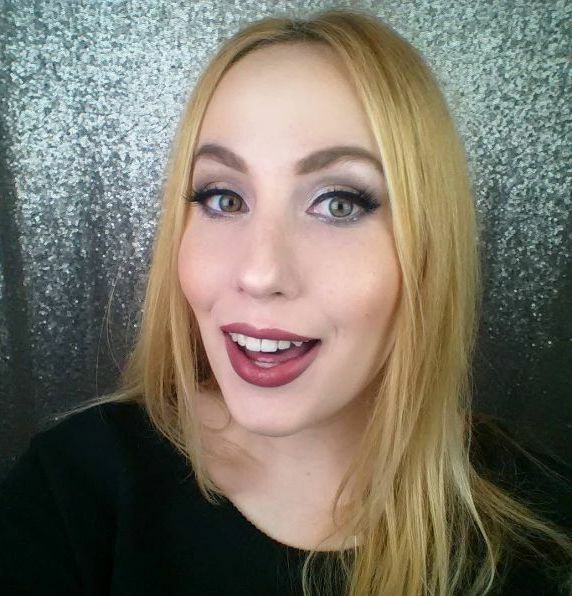 Sometimes metallic lipsticks seem a bit “out there” to wear every day, but Matterialistic is the right mix of subtle and surprise. 4. e.l.f. Baked Blush in Pinktastic – an OG from my collection, Pinktastic gives a gorgeous metallic sheen to your cheeks. It can be used as a blush, a blush topper or even a highlight! 5. Estee Lauder x Victoria Beckham Highlighter in Modern Mercury* – this golden pink highlighter has this stunning metallic sheen that makes your cheeks pop like nothing else.